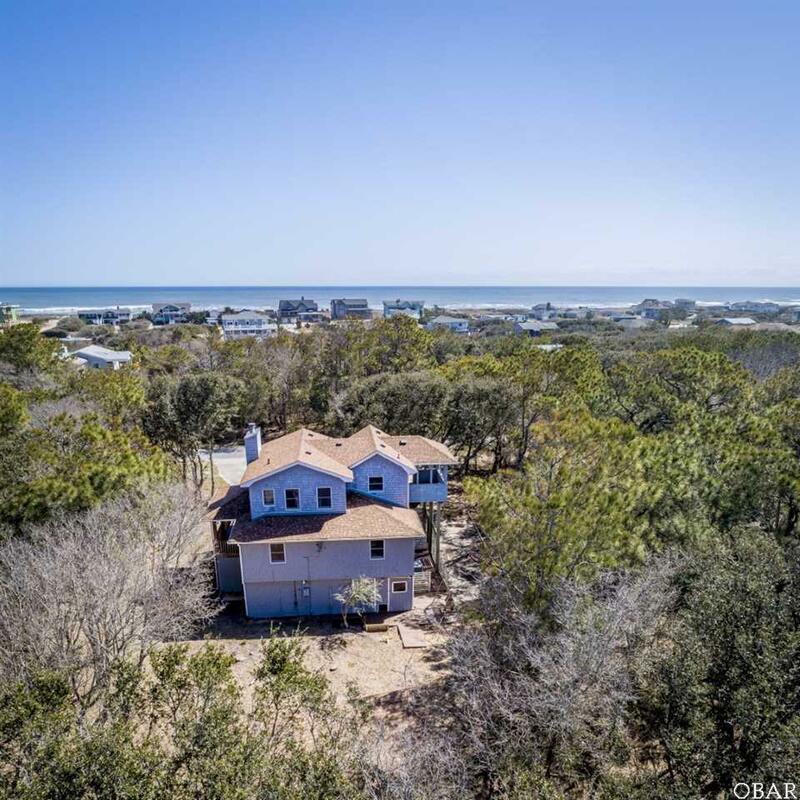 Completely remodeled turn key home close to the beach! 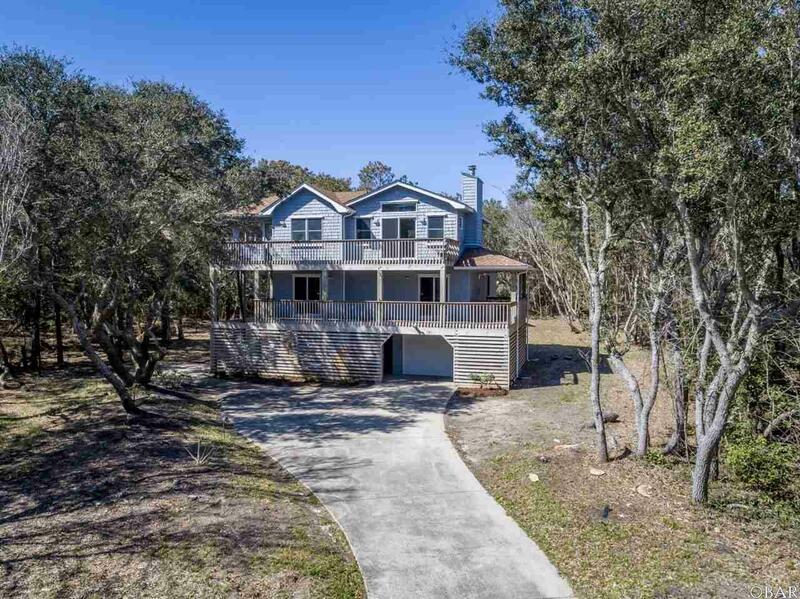 This 4th row home is minutes from the beach via community walkway. Totally private! Walk to the beautiful Cypress Pond Reserve. New features include: new white kitchen cabinets, huge kitchen sink, granite counter tops, new kitchen appliances, all interior paint, new carpeting and luxury vinyl flooring, new light fixtures, bathroom vanities, subway tile in bathrooms. Plenty of covered decks and sun decks for complete outdoor enjoyment. Convenient dry ground floor entry into the home. Back yard including storage barn with electricity and backs up to common area. More storage with garage and two additional storage areas in the rear of the home. Very private and plenty of room for a pool! 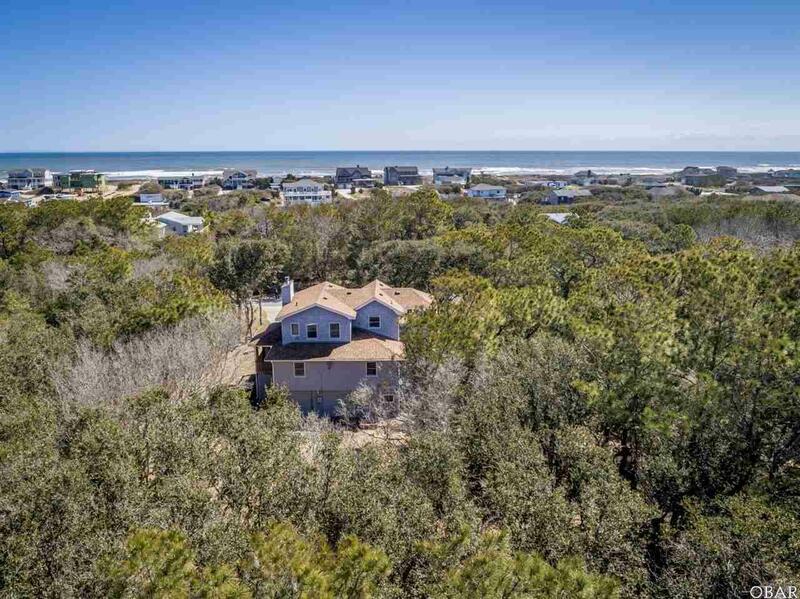 Perfect for primary, 2nd or vacation rental home! 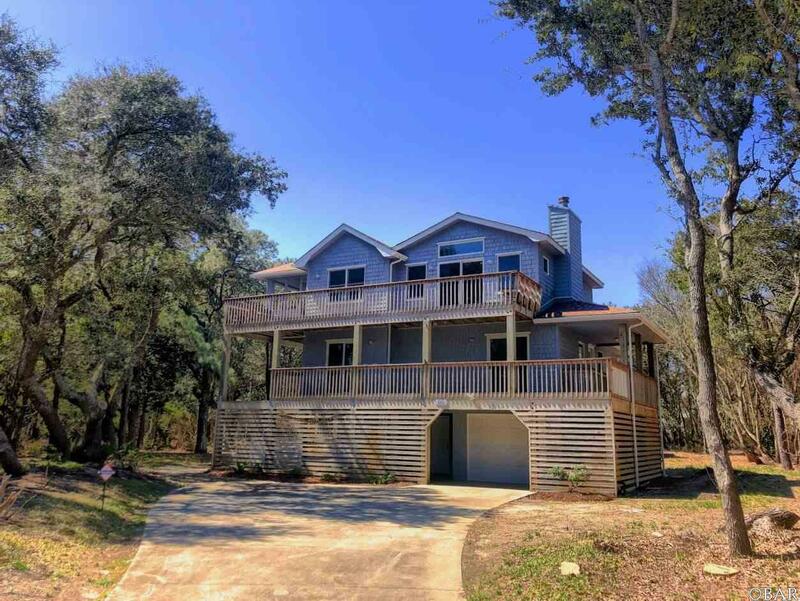 Listing courtesy of Daniel Fenyak of Outer Banks Blue Realty Srvcs..